The pieces you are looking at are on the passenger side of the 1955 Savoy. 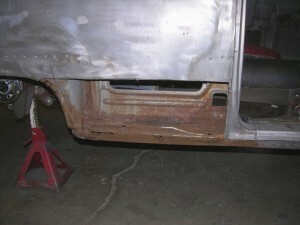 It had previous bondo fix over rust by the original owner. Well that doesn’t work for us. 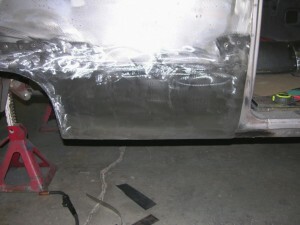 So we cut it all out and hand made the panel to replace. One Response to Replacing Panels. Hey Bobby thanks for the updates.Now that is what i see the only way to do it nice.No tell tale.